Available on CD with accompanying hard copy! Springtime is traditionally when school districts prepare their handbooks for next year. 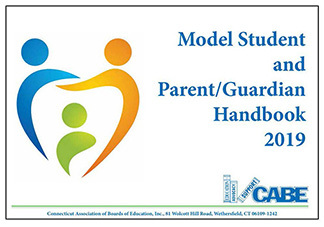 Get a head start by ordering CABE's Model Student and Parent/Guardian Handbook 2019! Student handbooks are as unique as the students and the campuses they serve. Our examination of student handbooks over the years suggests that, while details vary significantly, the topics addressed are fairly consistent. Many districts use the student handbook to meet requirements under federal or state law for annual notice to parents and/or students, with a suitable acknowledgment to be signed by the parent(s) or guardian(s). The Model Student and Parent/Guardian Handbook represents a compilation of material commonly found in handbooks for secondary schools. In defining a "baseline," we have attempted to omit those details that appear to be unique to individual districts. This model handbook is a DRAFT, designed to be a starting point for the revision or construction of a student handbook appropriate for your district. • alert you to the need to correlate handbook provisions with district policies. Some policy references may be codes for which the district does not have or need a policy. 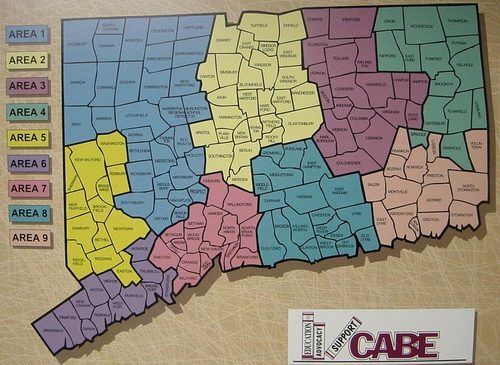 Samples of local policies addressing the topics outlined in the model handbook may be obtained from the Core Manual from the CABE Policy Service Department at 860-571-7446 or 800-317-0033. In adjusting the handbook to suit your needs, you may wish to consider whether the language is too formal and impersonal. We have attempted to parallel policy language and, consequently, have used third person pronouns and generally avoided gender references. When changes occur in essential student handbook provisions during the year, an amendment to the handbook with a form for acknowledgment by parent and/or student may be an appropriate method of communication. Some additions added this year include School Climate, Exclusionary Time Outs, Recording of Classroom Activities, Opioid Use and Related Disorders, Additions to Instructional Programs, Respect, Oral Health Assessments, Selective Service Registration Program, Title I Parent and Family Engagement plus many other changes to existing policies to comply with recent federal and state legislative cahnges impacting policy. If you have any questions about this document, please call CABE’s Legal or Policy Service Departments at 800-317-0033 or 860-571-7446. FREES up staff's time - no need for staff to do the research. All essential legal areas are covered. Provides listing of mandatory, recommended, and optional topics for the handbook. Contains information that meets requirements for student and parent notification. References are made to appropriate existing policies, as well as to Connecticut General Statutes. Modify the material on the CD to fit your school district needs.